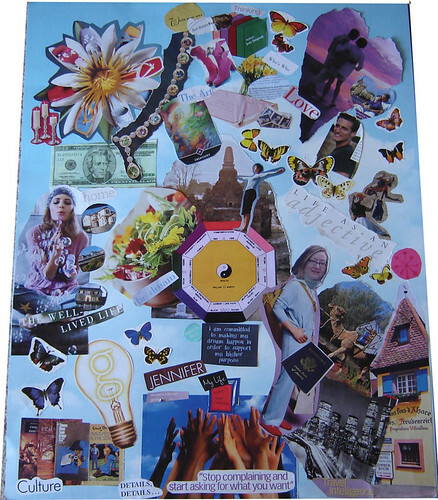 Last last Saturday, or maybe even the Saturday before that, I attended a workshop hosted by Jill Badonsky, to create a dreamboard. The first step was to think about what we want for this year… then flip through magazines and rip out pictures that appeal to us, or somehow symbolize what we want without thinking too hard about it. What I discovered is that its all about me now. Me me me me me me me me me me me. This is my year. Time for me to focus on my stuff. Do my thing. Be me! Me me me me me me. i love your dream board.